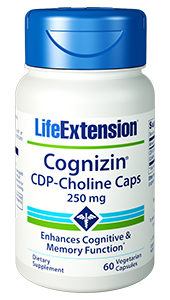 Life Extension Mitochondrial Basics with BioPQQ is a once a day capsule that combines PQQ, R-lipoic acid, and acetly-l-carnitine arginate. 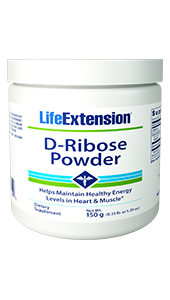 It supports mitochondrial function and to build new mitochondria to help prevent the loss of cellular vitality. 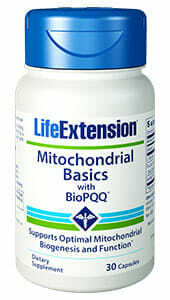 Life Extension Mitochondrial Basics with BioPQQ is a once a day capsule that combines PQQ, R-lipoic acid, and L-Taurine. 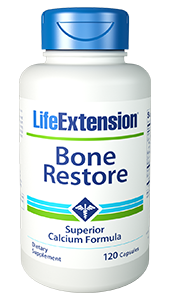 It supports mitochondrial function and to build new mitochondria to help prevent the loss of cellular vitality. R-lipoic acid. 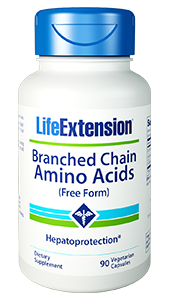 The effects of free radicals comprise one of the chief obstacles to optimal mitochondrial energy production. Published studies confirm R-lipoic acid’s power to promote mitochondrial bioenergetics while simultaneously blunting free radical activity.20-25 Mitochondrial Basics contains the superior Bio-Enhanced® R-lipoic acid and is in a proprietary microencapsulated form for better absorption. With these high quality ingredients offered in a conveniently low price, Mitochondrial Basics helps the body re-energize itself at the cellular level and prevent the physical signs of aging all while improving overall health. Other Ingredients: vegetable cellulose (capsule), microcrystalline cellulose, candelilla wax, beeswax, stearic acid, silica, corn starch, acacia gum, calcium silicate. 6. Ann N Y Acad Sci. 2004 Jun;1019:406-11. 8. Ann N Y Acad Sci. 2002 Apr;959:491-507. 9. Chang Gung Med J. 2009 Mar-Apr;32(2):113-32. 10. Proc Natl Acad Sci USA. 1997 94:3064-9. 11. Ann NY Acad. Sci. 1998; 854:118-27. 12. J Neurosci Res. 2011 Feb;89(2):222-30. 13. Nature. 2003 Apr 24;422(6934):832. 14. Connect Tissue Res. 1993;29(2):153-61. 15. J Biol Chem. 2010. Jan 1;285:142-152. 16. Alt Med Rev. 2009; 14(3):268-77. 17. Entrez Gene: PARGC1A peroxisome proliferator-activated receptor gamma, coactivator 1 alpha [Homo sapiens] GeneID: 10891. 18. Entrez Gene: CREBBP CREB binding protein [Homo sapiens] GeneID: 1387. 19. Bauerly K, Harris C, Chowanadisai W, Graham J, Havel PJ, Tchaparian E, Satre M, Karliner JS, Rucker RB. Altering pyrroloquinoline quinone nutritional status modulates mitochondrial, lipid, and energy metabolism in rats. PLoS One. 2011;6(7):e21779. Epub 2011 Jul 21. 20. Biochem Biophys Res Commun. 1996 Apr 16;221(2):422-9. 21. FASEB J. 1999 Feb;13(2):411-8. 22. Antioxid Redox Signal. 2000 Fall;2(3):473-83. 23. Biochem Mol Biol Int. 1995 Oct;37(2):361-70. 24. Arch Biochem Biophys. 2004 Mar 1;423(1):126-35. 26. Stem Cell Res. 2015 May;14(3):369-79.